Ajit K. Sachdeva, MD, is the Founding Director of the Division of Education of the American College of Surgeons. Dr. Sachdeva established this Division, which is responsible for developing and implementing innovative education and training programs for surgeons, surgery residents, medical students, and surgical teams. Major initiatives launched under Dr. Sachdeva’s leadership have established new benchmarks. These include the Academy of Master Surgeon Educators; Program for Accreditation of Education Institutes (Simulation Centers); Program for Validation and Verification of Surgical Knowledge and Skills; education and training programs to promote expertise and excellence in surgery; cutting-edge simulation-based education and training programs; innovative Patient Education Program; and transformational redesign of the Surgical Education and Self-Assessment Program and the Annual Clinical Congress. He has led several major national research and development projects in surgical education and training. Dr. Sachdeva also serves as Adjunct Professor of Surgery at The Feinberg School of Medicine at Northwestern University. Prior to joining the College, Dr. Sachdeva was the Leon C. Sunstein, Jr., Professor of Medical and Health Sciences Education and Professor and Vice Chairman for Educational Affairs, Department of Surgery, at the MCP Hahnemann School of Medicine. He also held the positions of Associate Dean for Medical Education and Director of the University’s Academic Center for Educational Excellence, and served as Chairman of three successive medical school Education/Curriculum Committees for 12 years. He established a Division of Surgical Education, which was one of the first such Divisions in the country, and a Fellowship Program in Surgical Education. In addition, Dr. Sachdeva served as Chief of Surgical Services at the Philadelphia Veterans Affairs Medical Center. He planned and directed the expansion of tertiary care services at the medical center, staffed by two medical schools (University of Pennsylvania School of Medicine and MCP Hahnemann School of Medicine). He established a Regional Network Health Care Program for Women Veterans for which he received the Gold Medal in Excellence in Government Awards Program, National Performance Review Award of the Vice President of the United States, and Award of the Deputy Secretary, Department of Veterans Affairs. Dr. Sachdeva has been inducted as a Founding Member of the American College of Surgeons Academy of Master Surgeon Educators and as Member of the Academy of Fellows of the Society for Academic Continuing Medical Education. He was awarded the Distinguished Educator Award, a Lifetime Achievement Award, by the Association for Surgical Education, and the Margaret Hay Edwards, MD Achievement Medal for Outstanding Contributions to Cancer Education by the American Association for Cancer Education. Dr. Sachdeva has received the Award for Outstanding Contributions to Healthcare Simulation from the Society for Simulation in Healthcare, the Frances M. Maitland Award from the Alliance for Continuing Medical Education, the Theodore A. McGraw, MD Medal from The Detroit Surgical Association, the Norman B. Kahn, Jr., MD Award for Exceptional Contributions to the Council of Medical Specialty Societies, and Recognition of Excellence Medallion from the Society of American Gastrointestinal and Endoscopic Surgeons. 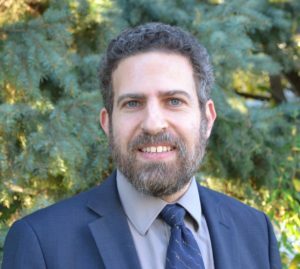 He has also received the Lindback Award for Distinguished Teaching, the Blockley-Osler Award for Excellence in Clinical Teaching, the Board of Trustees’ Award for Teaching Excellence, and several Golden Apple Awards for Teaching Excellence. Dr. Sachdeva has delivered presentations and conducted courses on educational topics in the United States, Canada, Europe, Australia, and Japan. He has been the recipient of major educational grants and has published widely in peer-reviewed journals. Dr. Sachdeva is a member of the American Surgical Association and has served as a representative of this association to the Council of Faculty and Academic Societies of the Association of American Medical Colleges. 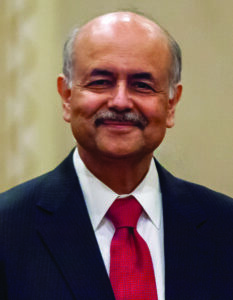 He has chaired the Committee on Surgical Education of The Society of University Surgeons, and also served on the Board of Governors of the American College of Surgeons. Dr. Sachdeva has served as Chairman of the Scientific Review Group Education Subcommittee (Study Section) of the National Cancer Institute, National Institutes of Health. In addition, he has served as a member of the Executive Committee of the Board of Directors of the Accreditation Council for Continuing Medical Education, and as a member of the Board of Directors of the Accreditation Council for Graduate Medical Education. Dr. Sachdeva has served as President of the following national organizations – Association for Surgical Education; American Association for Cancer Education; Council of Medical Specialty Societies; Society for Academic Continuing Medical Education; and Alliance for Clinical Education. physicians, and research infrastructure and competency-based assessment in medical education. teaching awards, including the Excellence in Teaching award, UIC’s highest recognition for teaching. He serves as Editor-in-Chief of the journals Medical Decision Making and Medical Decision Making Policy & Practice, and Director of the Association of Pediatric Program Directors Longitudinal Educational Assessment Research Network (APPD LEARN). His most recent books are Listening for What Matters: Avoiding Contextual Errors in Health Care (with Saul Weiner, Oxford University Press 2015) and Medical Decision Making: A Physician’s Guide (with George Bergus, Cambridge University Press 2008).